Shall we let Darya choose our Passports with Purpose Charity for next year? 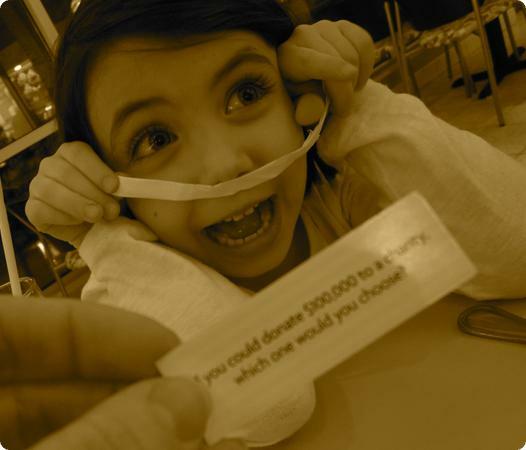 Darya's suggestion for this year was that we raise $100,000 to buy clothing for American Girl Dolls who don't have any. I suspect she was thinking of her Rebecca doll specifically, who owns only the clothes she came home from the store in. And while that seems like a worthy cause, were still looking for other suggestions. If you've got one, feel free to send me email or comment below. Before you do, you can learn more about causes we like to fund. Mary Frangulyan on February 24, 2012 at 12:01 a.m.
Debbie on February 24, 2012 at 9:12 p.m.
Awww, thanks! It's really a fun project.